A weekly conversation between friends about a listener submitted minute of something, in an attempt to evaluate all of the world's media. This week we have our first Steven Seagal Minute with minute 6 of "Under Siege 2: Dark Territory" staring Steven Seagal! Episode 53 - Baoh has a laser cannon! Yo! Baoh has a laser cannon? Where did he get it? Why did he use it? What's going on? I'm pretty sure none of these questions were answered in this week's episode! Forgive me darling! You thought it was over, but it was only just beginning! This episode we discuss minute 8 of 1993 animated film "We're Back: A Dinosaur Story." 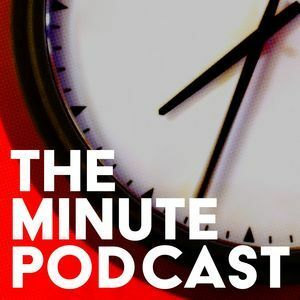 Episode 51 - The Minute Podcast - Grand Finale! Thank you for listening! Stay tuned to this feed for Pilot podcasts, and don't forget to check out our other podcast Plug-in Missing! This week the minutepod crew checks out the fancy period drama, "Dangerous Liaisons." This week John and Paul discuss "hot," and "cold," after watching this minute clip from the video game "Tales of Symphonia." This weekend John and Paul confess their road crimes while watching this minute clip from 1967 film, "Weekend" written and directed by Jean-Luc Godard.